I've read this book for the second time and I loved it again. I first read it in 2006 or 2007, back when I read a load of chicklit on a regular basis. A lot of them haven't really stayed with me, but this one has. 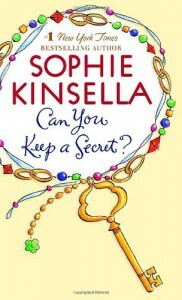 I must say that besides her Shopaholic series, I've loved every one of Sophie Kinsella's (or Madeleine Wickham's) books. They all have really likeable heroines, cute guys and great plots and are just relaxing reads. I always feel like I'm hanging out with one of my friends when I read one of her books and I think that's what chicklit is supposed to do. She and Jill Mansell are among my instant-buys when it comes to this genre. I'd totally recommend them, especially as beachreads. 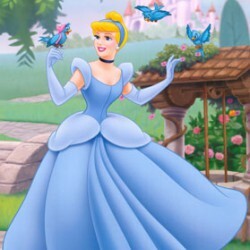 But onto this one: Emma is a girl who keeps a little secrets like every other girl. There are those things you think about but never ever tell anyone else, except maybe your best girl friend and maybe not even her. Until she panicks on an airplane ride, thinking the plane will crash, and tells all to the man sitting next to her. Every emberassing little detail about her life. After she can't believe herself, but luckily he's a total stranger and she'll never have to look him in the eye again. Except she's dead wrong about this and he turns out to be her new boss, who flew in from America to see to the English office. And he remembers. Everything. How will she ever live this down? This book is just hilarious. I had so much fun rereading it! I've been so caught up in romance books and YA and the occasional classic or Oprah-approved book that I forgot how much fun chicklit can be! Granted, there are lesser ones, but Kinsella is really good at what she does. Emma is a really likeable character, she is so human with all her little secrets and the mortification she feels at facing the man who know every last one of them. I love that she takes her anger on one of her colleagues out on her plant, feeding him orange juice. And that she thinks her boyfriend looks like Ken, from Barbie. And then she has the ones that are real, like the fact that she never told her parents she thinks they love her cousin, who lived with them since she was 13, more than her and that she feels intimidated by said cousin's success. And she has the most amazing chemistry with Jack, her boss, who seems like a really good guy. He does make some major mistakes, but how can you help falling in love with a guy who pays the busdriver 500 dollars to drop you off in front of your house in a street where the bus doesn't ever normally go through? He's totally adorable and though their first couple of dates were less than great, I was rooting for them the whole time. All in all, this book was just such a relaxing, funny read and I loved it. I bow down to Sophie Kinsella as one of the reigning queens of this genre.